CCleaner Business Edition 5.56.7144 is an on-premise version of the award-wining CCleaner software for small and medium businesses to maintain multiple desktops, servers and virtual endpoints. CCleaner BE is a cost-effective solution, designed to work on all Windows-based endpoints in the organization. It supports physical endpoints, virtual endpoints, servers and terminal services. CCleaner Business Edition’s patented technology optimizes endpoints to ensure your business runs efficiently - without you doing a thing. It cleans unnecessary files, recovers hard drive space, reduces crashes and speeds up endpoints automatically, whilst protecting privacy and security. It cleans multiple user profiles, updates automatically, supports scripting and comes with priority technical support. Note: if you are looking for medium or large enterprise version use: CCleaner Network Professional. 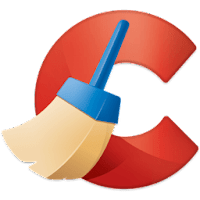 Disclaimer: Direct downloads for the lastest version of CCleaner Business Edition 5.56.7144 are provided by the official software's author, we can't guarantee safety, availability or download speed. Moreover, we don't and we won't provide any pirated/illegal versions or tools. We recommend you to avoid it as these methods can harm your device. If you like the software, buy it to support the developers. (We provide software discounts for many worldwide brands).